1 Bdrm 1st flr Flat. Hall. Lounge. Kitch. Bdrm. Bathrm (CT band - A). Garden. 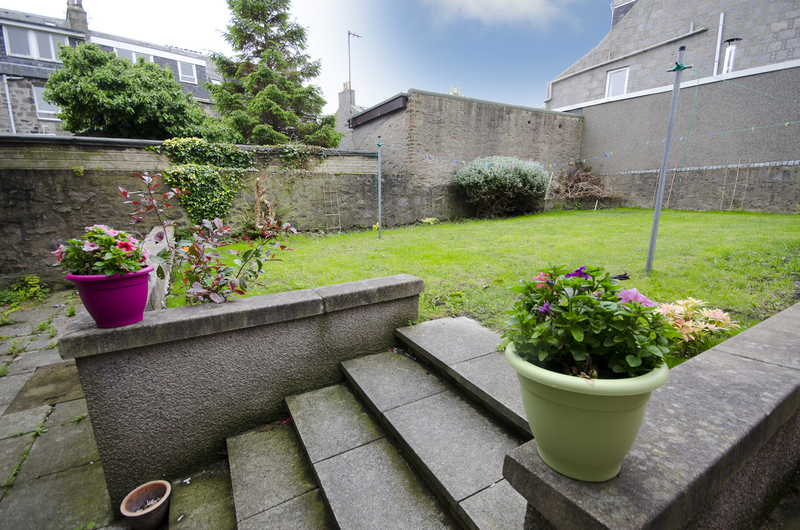 Fixed price £97,000 Entry by arr. Viewing contact solicitors. (EPC band - D). 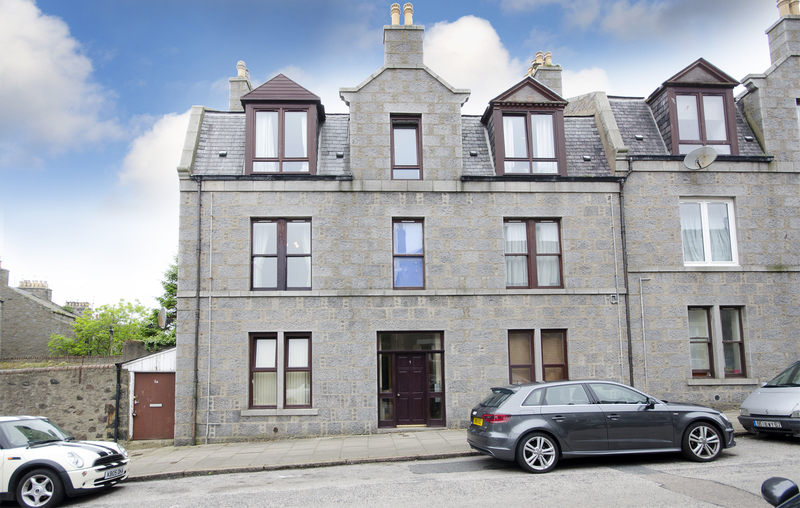 The Law Practice is delighted to present to the market for sale this well proportioned one bedroom flat located within a generous and well maintained granite tenement. The property comes complete with double glazing and electric heating. 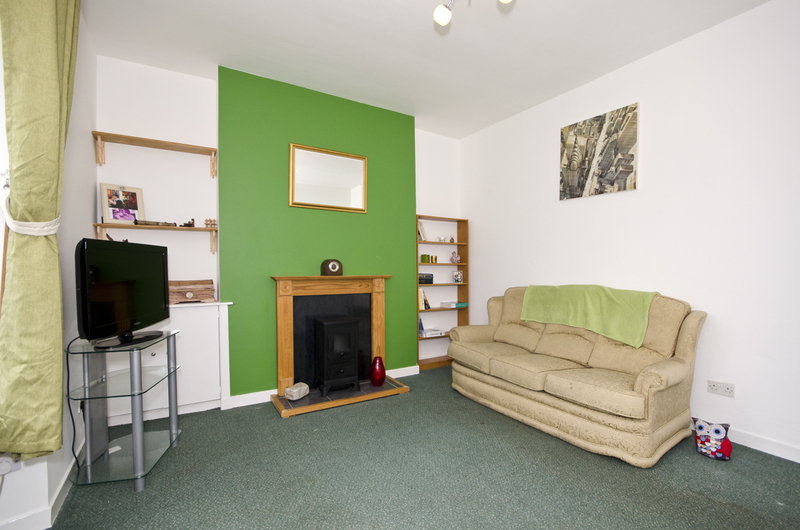 This is an ideal ready to move into property, ensuring the purchaser can move in with little expense and inconvenience. 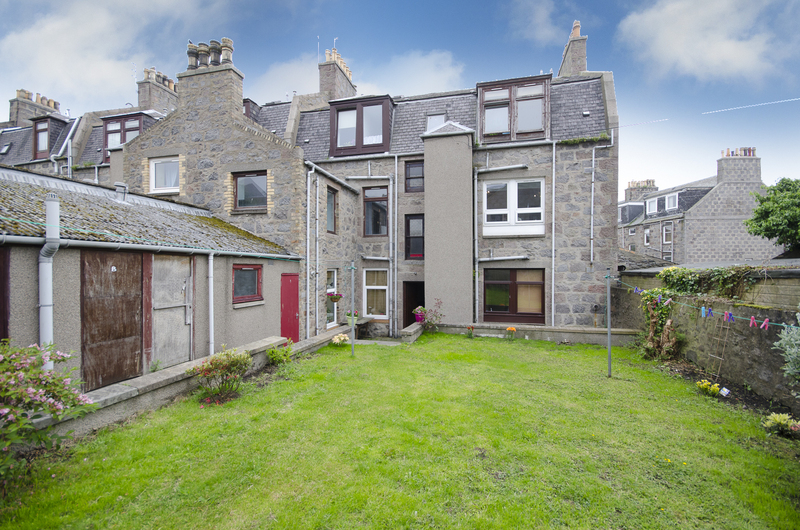 Ideal for the first time buyer or indeed a fantastic investment opportunity. 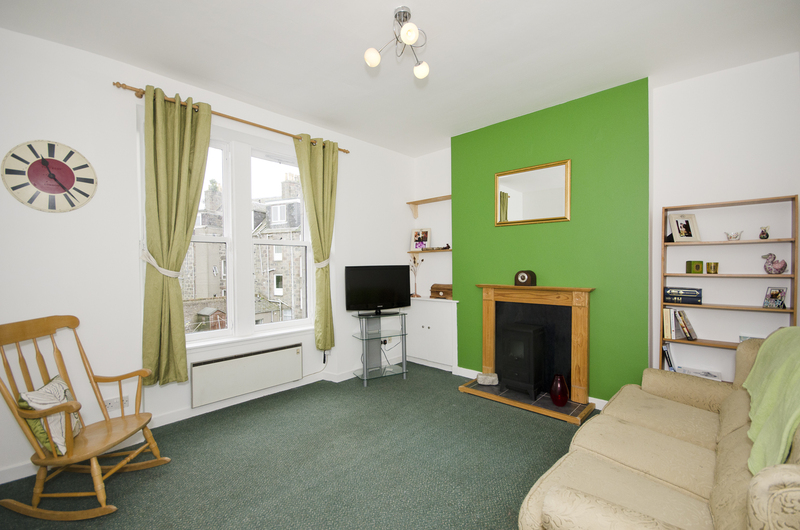 Ideally located for the Aberdeen University campus as well as the nearby retail park at Aberdeen beach. There is a wealth of local shops, restaurants and café’s all within walking distance and regular buses to all parts of the city and beyond. Entrance: Lovely bright and welcoming entrance hallway with large storage cupboard. Lounge (15.5 x 11.8 approx.) Generous lounge with a very large window which floods the room with natural light. Neutral décor with striking feature wall and the electric fire and surround make for a cosy and welcoming focal point. Kitchen (9.0 x 5.5 approx.) 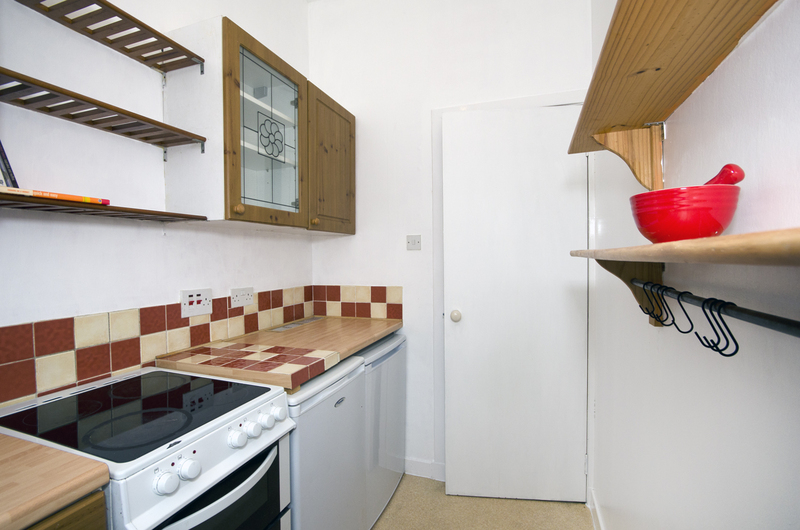 Well appointed kitchen with smart warm maple wooden units at floor and eye level, offering excellent storage, with coordinating worktops and splashback tiling giving a contemporary yet easy to maintain finish. Sink and drainer below the large window, which again fills the room with natural light. 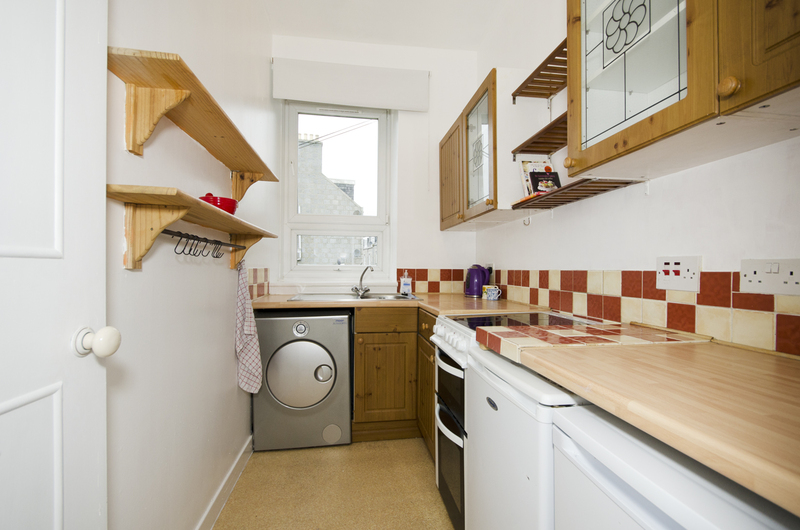 The cooker, washing machine, fridge and freezer are included in the sale. Wooden shelving to remain. 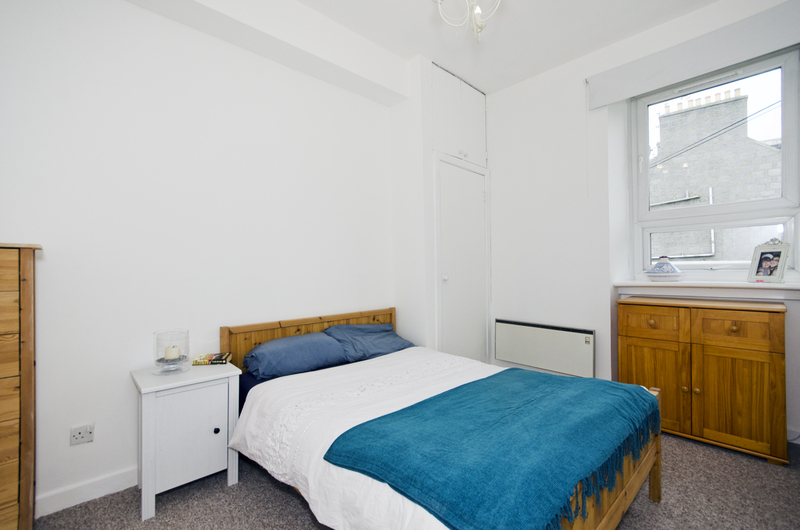 Double Bedroom (12.1 x 8.2 approx.) 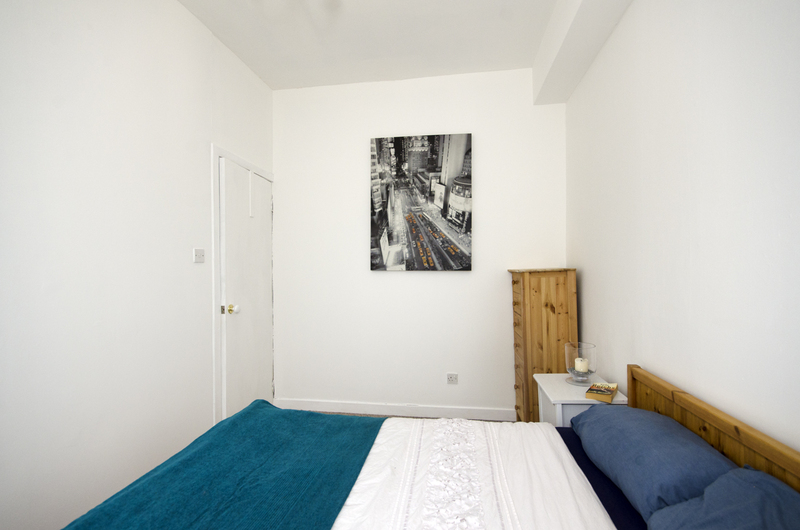 Located peacefully to the rear this double room benefits from fitted cupboards and is presented in fresh white paintwork with fully fitted carpeting. Ample space for a variety of freestanding furniture to suit. 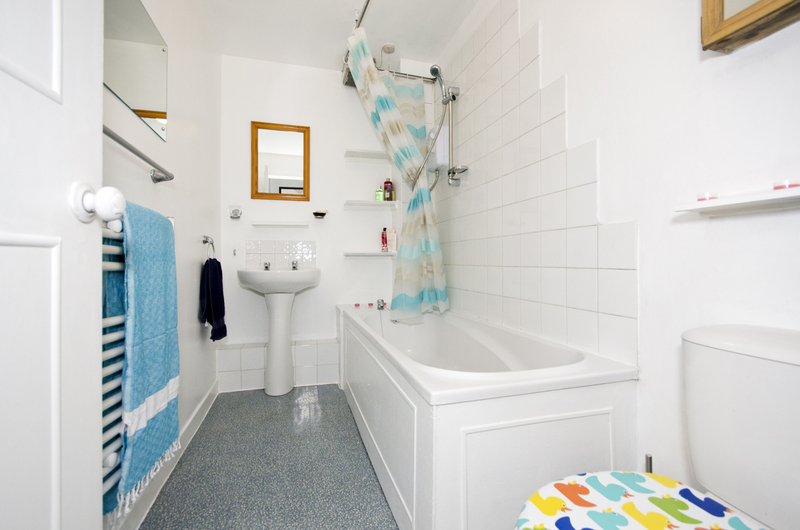 Bathroom (9.3 x 5.2 approx) Comprising of a three piece suite in white with over-bath shower. This modern bathroom is tiled and painted freshly in white. Fitted shelving offers great storage and the mirrors are to remain. Heated ladder style towel rail in white. Outside: Lovely large patio area perfect for al fresco dining, overlooks the shared drying green which is surrounded by mature shrubs and trees. 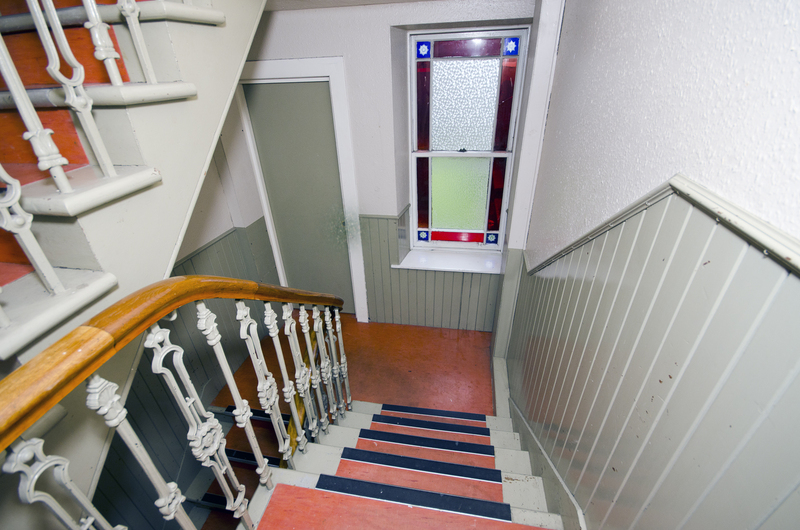 There is an exclusive cellar belonging to this property which offers excellent addition storage. Directions Travelling north along King Street turn right onto Urquhart Road. Continue for some distance then take the third left onto Urquhart Street.